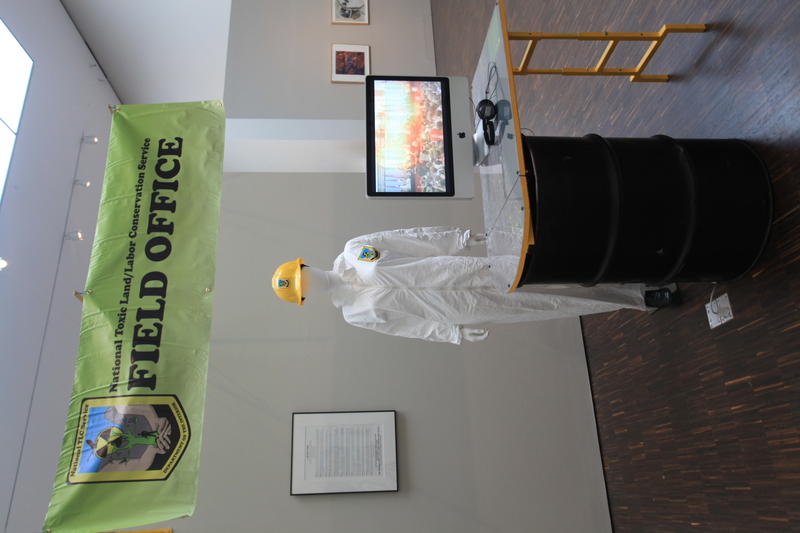 The National TLC Service Mobile Field Office will be on view at the Figge Art Museum in Davenport, Iowa. 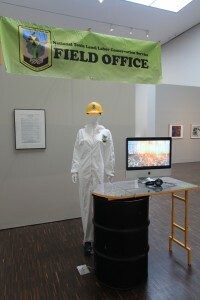 Fabricated by Dan Feinberg, the field office desk collapses into a 55-gallon hazardous waste drum. Our nuclear weapons map of Chicago, agency video, and authorizing resolution will also be displayed.